Sunday 27 January is Holocaust Day. Prisoner Number A26188: Henia Bryer, a BBC One documentary being shown at 2225 GMT on Sunday, tells the story of a young Polish girl, Henia. 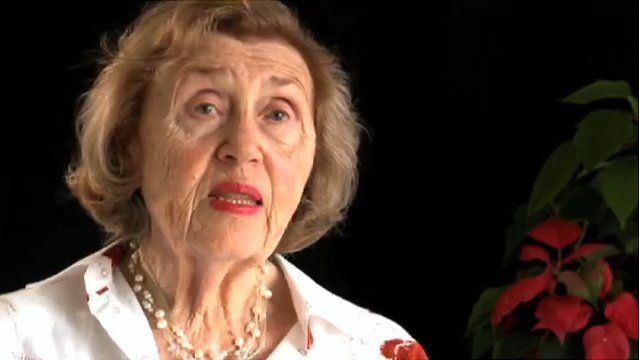 Born into a middle class Jewish family, she lost her father, brother and sister during the German occupation, survived four concentration camps and the Death March and went on to bear witness to the creation of Israel in 1948. Speaking to the Today's programme's John Humphrys, Henia Bryer explained why she wanted to keep her holocaust tattoo "as a witness" to what she had experienced. "I wanted to keep it on so when people say... that the Holocaust didn't exist... I wanted to show them... as a sign it really happened," she said.